Chapter books come after easy readers (and sometimes after a type of books called “transition books”). 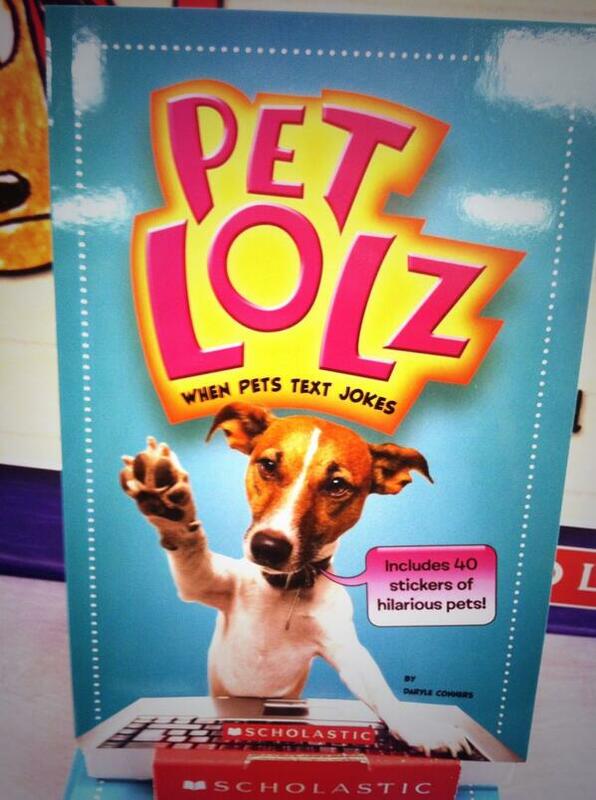 These are books for kids ages 7-10. 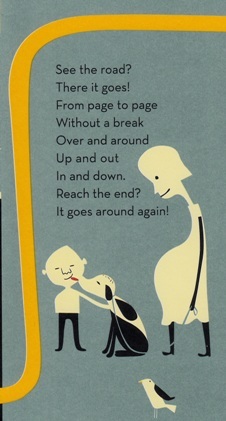 The stories are longer, there’s more of a focus on narrative, the type is denser, with more words on a page. 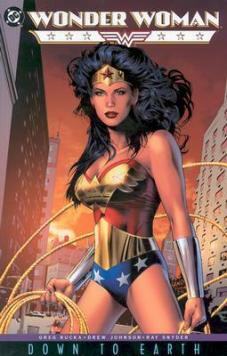 They’re normally around 40-60 pages each and the best ones place a big emphasis on action. These were my daughter’s most requested books for the year. 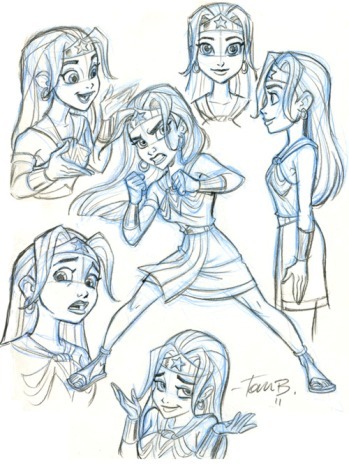 She’s a HUGE fan of Tony DiTerlizzi, a fantastic author and illustrator who (along with Holly Black) is responsible for The Spiderwick Chronicles, which are among my daughter’s favorite books of all time. 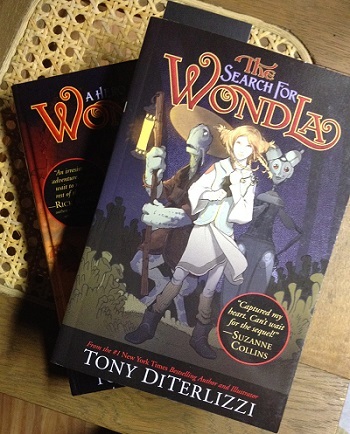 AND we checked out The Search for WondLa from the library a few months ago and she LOVED IT. It’s a really cool, very engaging science fiction story about a resourceful girl named Eva Nine, who is raised in an underground sanctuary by a robot and eventually ventures out into the strange outside world. Eva is a great character and it’s a fun, classic quest with beautiful illustrations and, I realized later, it is one of the first sci-fi stories that my kid ever read all the way through. (They make a lot of fantasy for younger readers, but not a lot of science fiction.) She loved the first WondLa book and wanted to know where the story went, so now she’ll have her own copy of the first book along with the second chapter, A Hero for WondLa. I think she’ll adore them. I’m excited about this one. We discovered The Animal Book at Literati Bookstore in Ann Arbor and my wife and I knew we were going to buy it immediately. 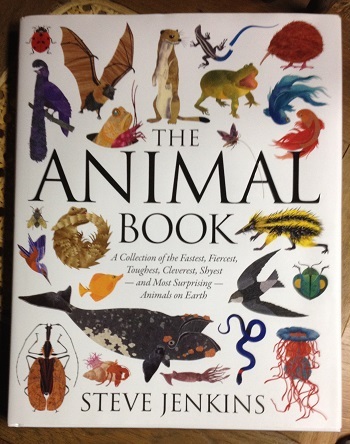 Steve Jenkins makes some of the coolest nonfiction books I’ve ever seen. He’s a remarkable scientist and artist and his book Never Smile at a Monkey: And 17 Other Important Things to Remember is one of the most read titles in our home library. 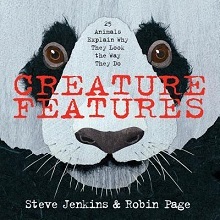 This encyclopedic look at the “fastest, fiercest, toughest, cleverest, shyest, and most surprising animals on Earth” is BEAUTIFUL and I know my daughter will spent hours combing over every page. It started simply – I asked myself, “I wonder what new kids’ books are coming out in October.” Two hours later, I was still browsing through publisher catalogs, muttering to myself, “That looks so cool, that looks so cool, that looks so cool…” There just SO many epic kids’ book releasing this month (the number of titles coming out on October 7th alone is ridiculous) and I couldn’t be happier about it. In an effort to share the amazing, I decided to put together this quick guide to 21 books that are coming out this month that I’m personally EXCITED about and that I think you should be excited about too. Sometimes, it’s because I like the creators’ early work, sometimes, I just like the concept, sometimes, I am literally judging the book by its cover. This is a TOTALLY subjective list. But, at the very least, this should give some of you a heads-up about some very cool books that are on the horizon and, if I missed any fantastic-sounding upcoming titles, PLEASE let me know in the comments section below. Enjoy! 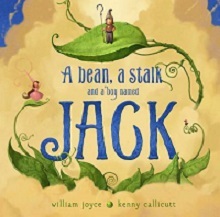 Why You Should Be Excited: It’s the newest picture book from William Joyce, the creator of A Day With Wilbur Robinson, Dinosaur Bob, and the beautiful, beautiful The Fantastic Flying Books of Mr. Morris Lessmore, which Joyce adapted from his Oscar-winning short animated film. So… yeah, there’s some pedigree here. Why You Should Be Excited: Jenkins makes some of the most consistently beautiful and informative picture books I’ve ever read – my daughter adores his Never Smile at a Monkey: And 17 Other Important Things to Remember – so I can’t imagine this one will be anything less than fascinating. 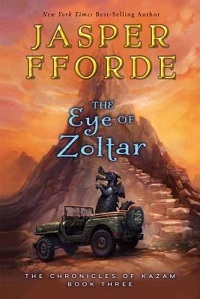 Why You Should Be Excited: I haven’t read the previous Chronicles of Kazam books, so I’m not speaking from experience, but I love, love, LOVE Fforde’s Thursday Next and Nursery Crime series, which makes it hard for me to deny the potential on this one. 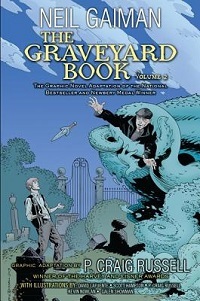 Why You Should Be Excited: Gaiman’s The Graveyard Book is one of my favorite young adult novels of the past ten years and the first volume of Russell’s graphic novel adaptation was impressive. (I really love Russell’s prior comic adaptation of Gaiman’s Murder Mysteries story.) 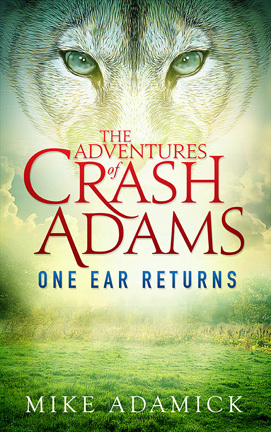 Plus this volume features the conclusion of The Graveyard Book, which I’ve written about before and absolutely adore. 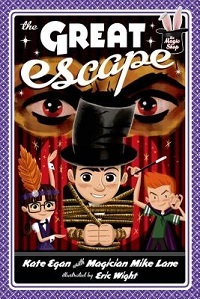 Why You Should Be Excited: I haven’t read the early volumes of the Magic Shop series, but the description sounds very cool – I love magic stuff – and the real reason I’m excited is the artwork by Eric Wight, who’s absolutely amazing and who created the totally fantastic Frankie Pickle series of early readers. 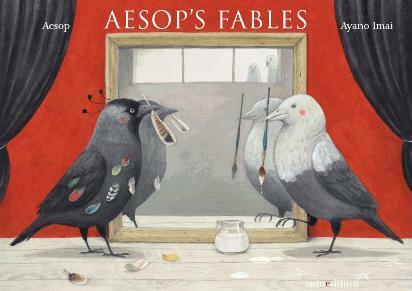 Why You Should Be Excited: C’mon, this is Applegate adapting the remarkable story behind her 2013 Newbery Medal-winning YA novel into a gorgeous-looking picture book. 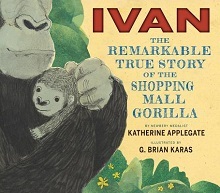 A new take on The One and Only Ivan that I can share with even younger readers? No-brainer. I’m in. 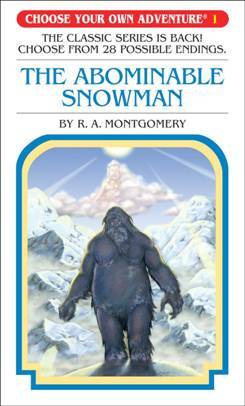 I love shopping for kids’ books at used bookstores for two reasons – #1). you never know what you’re going to find and #2). it’s a fantastic reminder that the world of children’s literature has always, ALWAYS been gloriously and deliriously WEIRD. 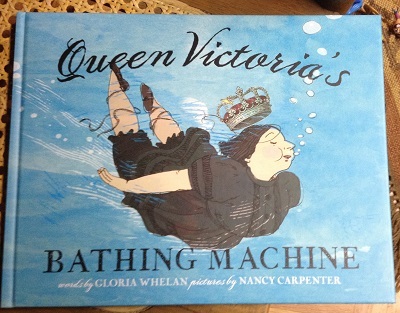 Because sometimes, when it comes to children’s books, we romanticize the past. We look at the current world of children’s publishing – with kids’ books written by celebrities, kids’ books based on toy lines, and kids’ books all about what it would be like if your pets could text you jokes (not making that up) – and there’s a tendency to think, “Sigh, it wasn’t like this in the good old days. Back then, kids read LITERATURE.” Well, I’m here to tell you that kids have been reading weird stuff for AGES, since long before dogs even knew what text-messaging was, and part of the fun of used bookstore shopping is seeing what kinds of literary oddities earlier generations inflicted on their youth. In my most recent trip to the children’s section at our local used bookstore, I found several books from the 1960s that had odd celebrity tie-ins. There was a dog-eared copy of A Red Skelton in Your Closet: Ghost Stories Gay and Grim Selected by the Master of Comedy, because, if I’m looking for something truly scary to read in 1965, I’m going to hit up a master of comedy… apparently. 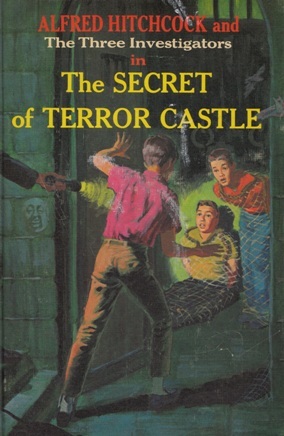 (Aside from selecting the stories, Skelton also wrote an introduction titled “Of Course I Believe in Ghosts.”) Then there was the pristine copy of Shirley Temple’s Storytime Favorites, with the picture on the cover that made Temple look more like Betty Crocker than the child star she’d been in the 1930s. 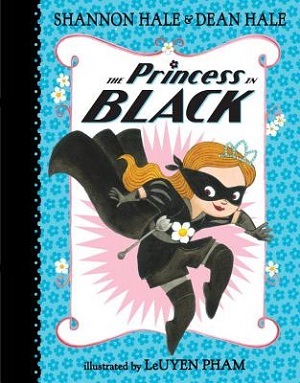 But, hands-down, the best, the most wonderfully weird ’60s celebrity kids’ book I encountered – and that I just HAD to buy – was all about Alfred Hitchcock, possibly the most acclaimed movie director of all time, teaming up with three kid detectives to solve mysteries. That’s right. Alfred Hitchcock, director of Psycho and Vertigo, hanging out with three Encyclopedia Brown knock-offs. And did I mention that the kid detectives drive around in a chauffeured, gold-plated Rolls Royce? 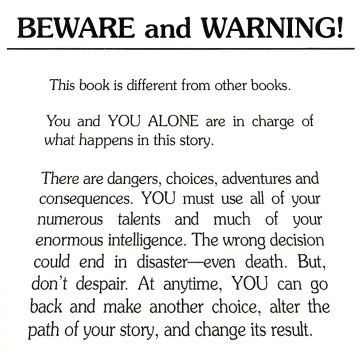 How could I NOT buy the book immediately? 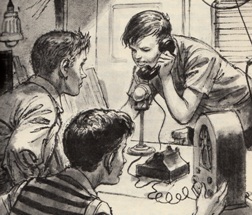 There’s actually a whole series of books in the “Alfred Hitchcock and The Three Investigators” imprint. I picked up the first and seventh volumes of the series, The Secret of Terror Castle and The Mystery of the Fiery Eye, and they’re the best things I’ve bought in a long time. 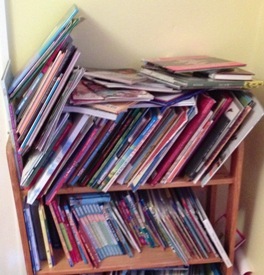 For a parent, keeping up with the current state of children’s publishing can be hard. Children’s and young adult titles are more popular than ever, so there are just an immense amount of new kids’ books hitting the shelves every week. And, for parents, finding those new titles – the new and really, really great titles that your kids will totally love – isn’t always easy or intuitive. 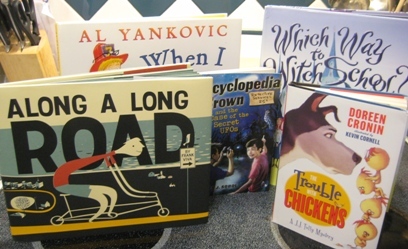 Oftentimes, there aren’t a lot of opportunities for parents to encounter new kids’ books. Maybe you’ll see one online (if it’s prominently featured by one of the big retailers), maybe you’ll see one at the library (if your library ordered it), or maybe you’ll discover it at your local bookstore (if you still have a local bookstore). 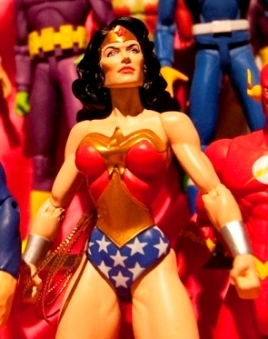 There are so many variables working against parents in the hunt for new books for their kids. While I can’t solve the problem – because I miss just as many amazing kids’ books as the next parent – maybe I can help a little. 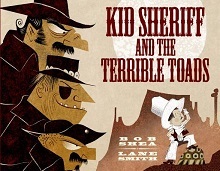 Here are five of the coolest, most interesting, recently released children’s titles that I’ve encountered over the past few weeks. Even if these titles aren’t ideal for your kid, these books are all outstanding enough that they should definitely be on your kidlit radar. Blexbolex is a ridiculously talented French illustrator and, last June, I wrote about my love for his beyond brilliant word-book People. That title was an epic, phone-book-sized masterpiece that taught children about a huge variety of different people, including contortionists, centaurs, fakirs, tattooed men, rabbis, cat burglars, and more. (Seriously.) Each page featured wonderfully simple and iconic representations of different kinds of human beings, illustrated in a fashion that almost made them look like they were screen-printed or stamped onto each page. 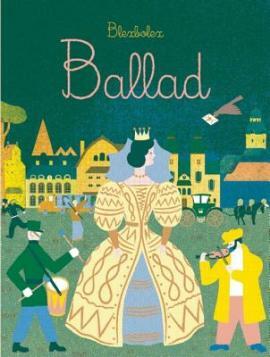 If it’s possible, Blexbolex‘s new picture book, Ballad, is an even more ambitious work, a truly staggering piece of visual storytelling. I perked up IMMEDIATELY. She’d never asked to do this before. “That’s great!” I said. “Who are we writing to?” In my head, I began thinking about how I could get the mailing addresses for Lane Smith, Kate DiCamillo, Cressida Cowell, Mo Willems, Adam Rex, the estates of Shel Silverstein or Roald Dahl, etc. And then she hit me with the bombshell. Daisy Meadows. 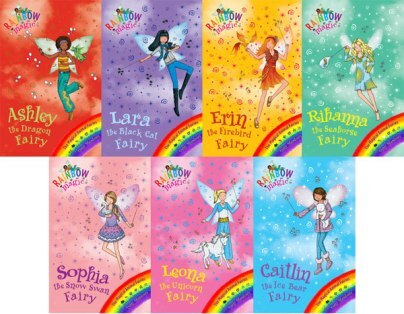 The Rainbow Fairy Books. 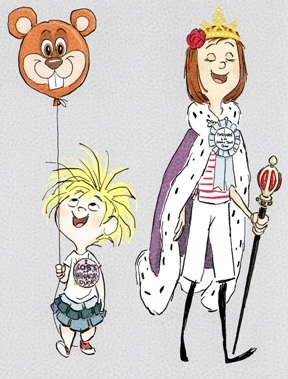 In my last post, I waxed on and on about Bink & Gollie: Two For One by Kate DiCamillo, Alison McGhee, and Tony Fucile, even though, pretty early in the article, I commented, “How can I possibly convey the depth of the warmth and humor in Bink & Gollie in a simple blog post?” (And yet I still tried. Was it passion or hubris? You be the judge…) So, for the sake of argument, let’s just assume that I failed in my attempt to really convey how endearing the two Bink & Gollie books are and you, as the skeptical blog lurker, need more empirical evidence to sell you on my recommendation. You need more evidence? No problem. Below are two videos that, I think, do a nice job of showing off the quirky charms of Bink & Gollie. 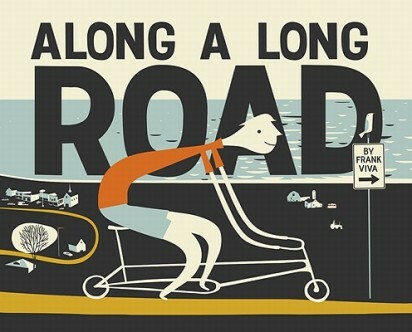 The first is a book trailer for the original Bink & Gollie, put together by Candlewick Press. The second video is a very cool, very home movie-esque clip of illustrator Tony Fucile reading Bink & Gollie to a group of children at a bookstore. It is not the most professionally-produced video ever, but I actually find it charming as hell. The camera moves all over the place, kids interrupt and ask questions, and Fucile does his best to read the story and explain his illustrations with unflappable good humor. The shaky-cam nature of the video and the iffy sound might make it hard for some to watch, but I find it to be a wonderfully real glimpse of a creator really connecting with his target audience. If these videos can’t sell you on Bink & Gollie, I don’t know what can.